For a brand with an expanding portfolio of business solutions that benefit many different industries, SAP at its annual SAPPHIRE NOW show, held in conjunction with the ASUG Annual Conference, June 5-7, needed a conduit in which to immerse the more than 21,000 attendees from 102 countries in the end results of its offerings. And with a 10 percent surge in attendance year-over-year and a new narrative to share—“The Best Run Businesses Make the World Run Better”—the delivery needed to be stunning. The solution: dynamic content experiences and immersion zones that live-wired customer stories. 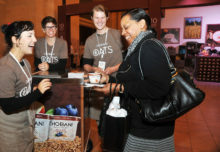 The interactivity helped attendees see and experience SAP products. “We have over 1,200 sessions—much to digest—that are in a variety of different formats, from speaker-led sessions to meet-the-expert sessions to more informal meetup sessions, that we wanted to showcase some of those experiences as ‘Best Run’ to our audience. We really want to create those memorable moments,” says Tammy McGraw, senior program director at SAPPHIRE NOW. 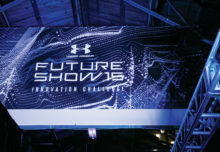 The largest immersion zone was the Best Run Experience, a three-story-tall, floor-to-ceiling digital experience with 7,500 square feet of LED screens. Within it, SAP highlighted customer ERP’s (Elephants, Rhinos & People) work to protect animals in Southern Africa. The organization uses drone data combined with GPS data from animal collars transmitted to the cloud, which is then analyzed by SAP HANA in real-time and delivered to rangers via a mobile app. 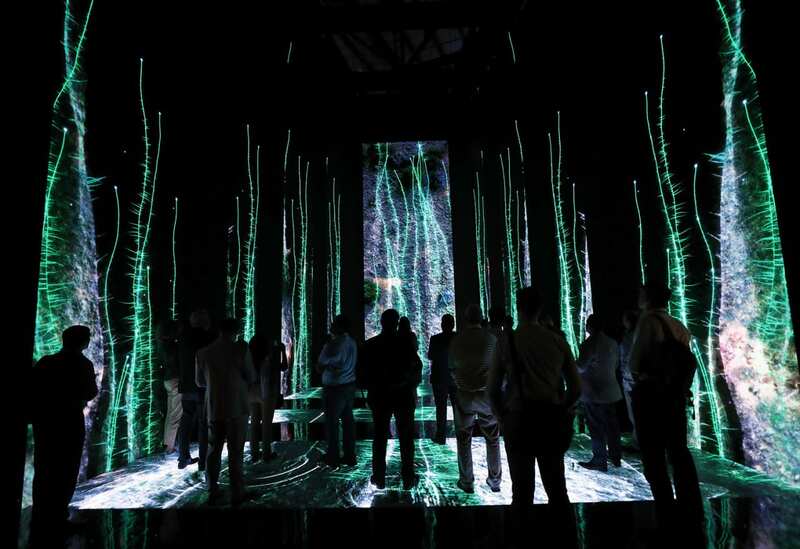 As attendees stepped onto the LED floor, it came to life with visuals of the African forest—the floor responded to the attendees’ movements as they heard and saw elephants moving in and experienced this tech story. Another Best Run Experience story showcased Hakusan, a small Japanese business helping prevent earthquakes from becoming disasters. Using SAP Leonardo and the HANA platform, Hakusan has developed a prototype app that uses motion sensors in smartphones to measure the movement of buildings during minor earthquakes, helping to identify potentially fragile buildings. 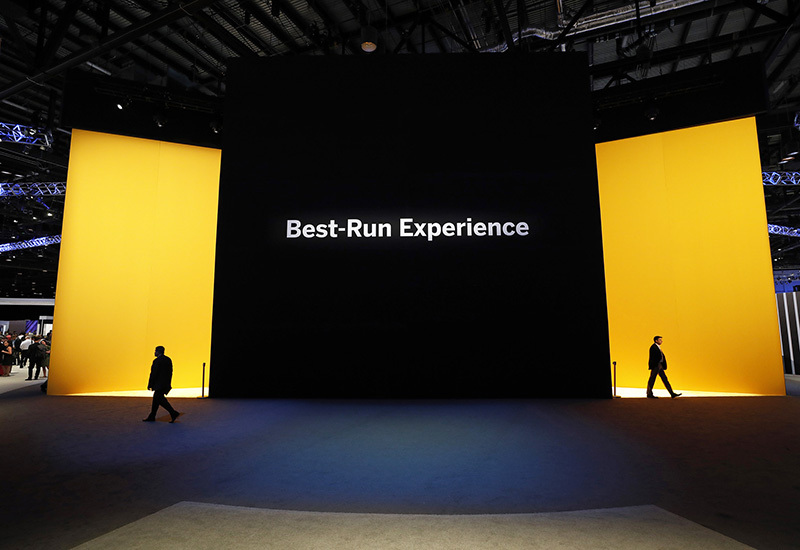 Eight showcases surrounding the Best Run Experience provided hands-on examples of SAP software being used. Eight showcases surrounding the Best Run Experience provided hands-on examples of SAP software being used across industries, like fashion. In a showcase with designer and customer Badgley Mischka, SAP demonstrated how its software enabled the designer to collect immediate feedback on runway looks during Fashion Week. SAP brought this partnership to life by featuring five dresses that premiered at Fashion Week on-site. Attendees walked onto an interactive display and voted on their favorite dress. Once they voted, they viewed statistics about how many other people voted for the dress. Another showcase featured adidas with a virtual experience where attendees built their own custom sneaker from scratch in an experience designed to highlight the future where a customer walks into an adidas store, and rather than choosing a shoe from the shelf, they design one on the spot. “Over the last several years we have added additional product and lines of business that we acquired as a company, so with SAPPHIRE NOW, as our one global event that covers the end-to-end SAP portfolio, we want to continue to grow that audience for the event, and the way to do that is to have the right content to attract them,” McGraw says. Surely helping to that end was the event’s executive kick-off called “Call to Lead,” which featured Former President Barack Obama and Condoleezza Rice; musician Jon Bon Jovi and SAP ceo Bill McDermott. 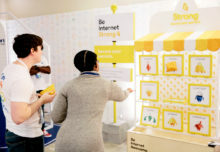 Bolstering the storytelling strategy was customer Costco, which described its mission to collaborate with SAP to modernize operations and reduce food waste, and adidas, which described how SAP technology promotes collaboration with their employees, customers and partners worldwide.